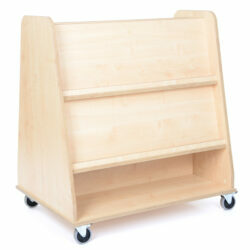 This mobile unit has shelves on each side for the display of resources. 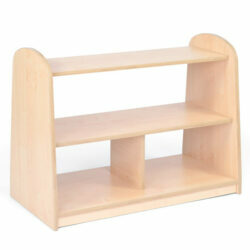 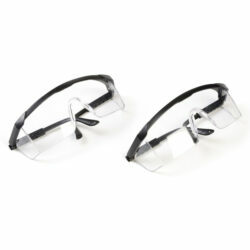 It enables resources used regularly by different classes to be well managed – attractively presented and easily moved. 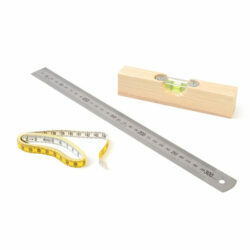 It can also be used, particularly in KS1 and KS2 classrooms, to present new stimulus. 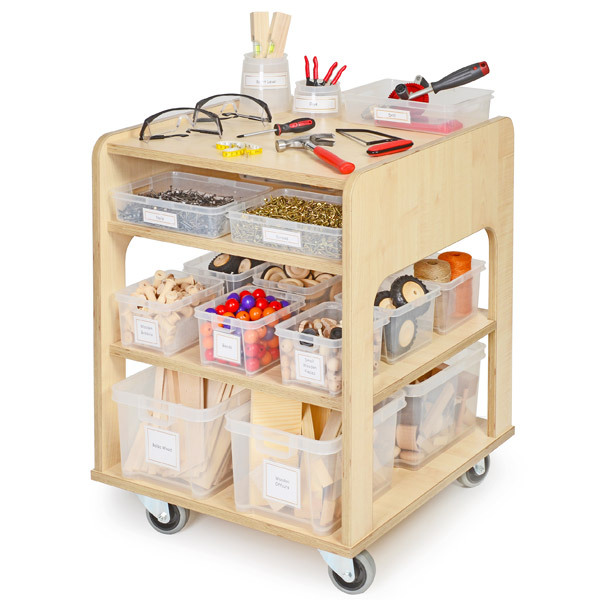 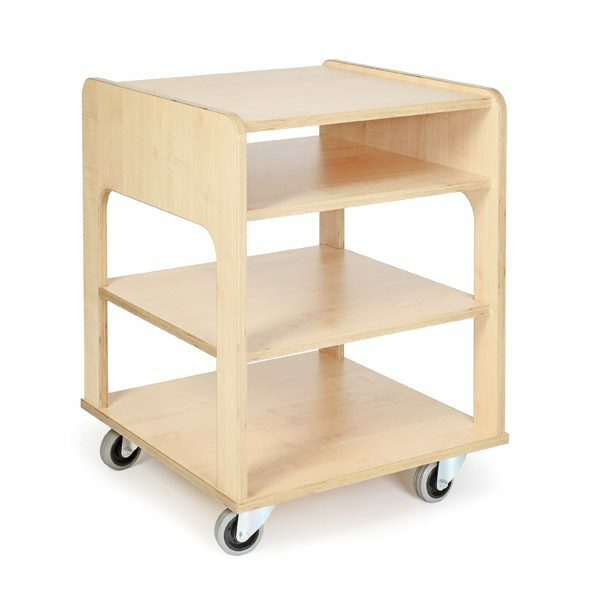 For example, to resource an art project, the trolley can be used to house a new range of materials and tools or to explore a particular aspect of science or maths, the trolley can house all of the practical resources.